"With the the polka-dot jersey, deciding who will win is as much about understanding the intent of the riders as it is about deciding who is best suited to the task..."
Having examined all aspects of the Tour de France in this How-To-Win series, from the best warm-up races, to picking a stage winner, to betting in-play, to selecting the most likely wearer of the Yellow Jersey in Paris, we come to our final instalment... How to make sense of the other jerseys on offer. The Mountains Classification is won by the rider who accumulates the most points on categorised climbs. Available at the top of each, there are more points available when the climbing is at its toughest. As is true with all the ancillary jerseys on offer, but most true of the polka-dot, deciding who will win is as much about understanding the intent of the riders as it is about deciding who is best suited to the task. For example, it is reasonable to say that Nairo Quintana is the about the best out-and-out climber in the peloton; however, it is unlikely that Quintana, who has designs on the Overall Classification, will be fighting for all the mountain points on offer: he might be prominent on final climbs, but won't be joining break-aways to claim early points on a stage. Sometimes, this kind of rider can pick up the polka-dot inadvertently - in pursuit of their wider ambitions - and, indeed, Froome and Quintana have both won it in the last five years. But they are historical outliers. And even if a rider doesn't aspire to Yellow, he might still be unable to properly target the polka-dot jersey because his personal ambitions are superseded by team responsibilities. Michal Kwiatkowski, for instance, might have the ability to compete for the polka-dot, but his role as Chris Froome's henchman means he would never be allowed to go in search of the points required. Instead, then, punters need to find free-agents, riders who can compete on the steep stuff with nothing to distract them from their task. Who will claim the spots in 2018? It often takes a few days of racing for it to become apparent who is going for the Mountains Classification and, this year, it is only on Stage 10 that the big points are first offered up. It would be possible for a polka-dot hopeful to ride a quiet race up until this moment, before beginning their assault. It might be wise, then, for punters to wait: if some GC aspirants are already adrift in the main competition, it is possible their attention will turn to this prize. For those looking for an early value punt, though, riders who fit our criteria - able climbers without ambition or responsibility elsewhere - include Warren Barguil ([4.50]), Rafal Majka ([14.00]), Jarlinson Pantano ([50.0]) and Thomas De Gendt ([13.00]). Barguil won it last year and his move to Fortuneo-Samsic will mean that he escapes any team responsibilities this year. He's the rightful favourite, but those odds are short given the uncertainty of his opposition. Majka, in the same team as Peter Sagan, will have few claims on his time, other than his own - probably unrealistic - ambitions to compete for overall honours. If Majka decides to target the polka-dot, his odds will soon tumble. Thomas De Gendt spent nearly 1,000km in break-aways in 2017 and will likely be similarly free-and-single again this time around. 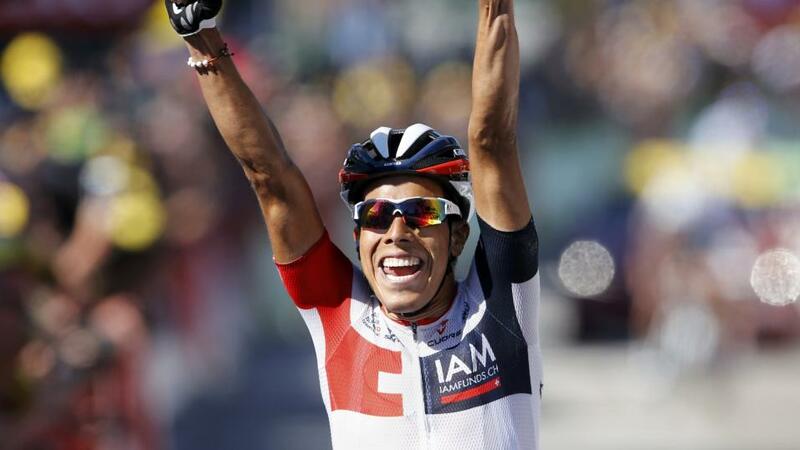 Of the shorter-priced riders, he would be my choice; however, I would take a punt on Jarlinson Pantano. The Columbian has shown himself a swashbuckling climber in recent years and, now freed from the role of shepherding an aging Alberto Contador around France, he should be solely focused on the Mountains Classification. I will recommend him at [50.00] here, but the market is still illiquid. Some of the fixed-odds merchants are offering as big as [150.00], though, so it's reasonable to think those odds will be available - or something even more juicy - by Saturday. Sometimes referred to as the sprinters jersey, it is perhaps more accurately described as the consistency award, although that doesn't have the same marketable ring to it. The Green Jersey is awarded to the rider who accumulates the most points during intermediate and stage-end sprints. In recent years, the best sprinters have largely ignored the Green Jersey, instead seeking the higher-profile glory of stage wins. To redress this, organisers are this year offering a higher weighting of points for final stage positions, to change the pattern of the competition. Whether it works remains to be seen and it might again be best to wait for the early stages to unfold before committing. For those wanting an involvement, though, the criteria are simple: you are after a sprinter who places consistently every day. If they are also able to climb a bit, and get into break-aways on hillier stages, so-much-the-better, because more intermediate sprint points will come their way. Will the best sprinter wear green in 2018? Five-time winner of the Points Classification, Peter Sagan ([1.50]) is hard to oppose. Although usually finding a few riders too fast in out-and-out flat sprints, he will consistently finish in the top few on such stages, as well as winning anything with a punchy climb involved. To add to is dominance, he's a competent climber, too, so can claim intermediate sprint points where most other Green Jersey contenders are hanging out the back with the grupetto. He was denied last year - controversially disqualified after an incident with Mark Cavendish - and it might well take a similar intervention to stop him winning Green again in 2018. Strengthening his claim this year is the relative paucity of opposition sprint form on offer. The trio who have dominated end-of-stage sprints in recent years - Mark Cavendish, Andre Greipel and Marcel Kittel - have all looked below their best form this season, and the rising stars, like Andre Demare, Dylan Groenewegen and Christophe Laporte might well win an odd stage or two, but they seem unlikely to be able to match Sagan's constancy. Of most interest is Fernando Gaviria, who won four stages and the sprinters' jersey at last year's Giro. The 23-year-old Colombian has received a lot of press and will have the support of this season's dominant team: Quick-Step. At around [4.00] for the Green Jersey, though, I would be cautious. He was beaten in a bunch sprint by Sagan at the Tour de Suisse, and picked up two further second-placed stage placings there. It is hard to see, then, where he will accumulate a big enough advantage over Sagan to challenge for the Points Classifications. It's unoriginal, but Sagan looks like a certainty for the Green Jersey. Think of this as the Yellow Jersey for youngsters. It is awarded to the rider highest up the General Classification who is 25 years old or younger. Of most interest in 2018 is Team Sky's Egan Bernal, who is available at around [2.40]. The 21-year-old Columbian was originally announced to be targeting the Vuelta later in the year, so his inclusion in the field is a surprise. Last year's winner of the Tour de l'Avenir (the pre-professional equivalent of the Tour de France) he's an exciting prospect for the future; however, it's not clear how his role as domestique for Chris Froome will affect his own General Classification aspirations. It could be to his advantage - meaning he is always prominent on the key stages - but if asked to chase down an errant breakaway on a stiff final climb, he could be at the mercy of his rivals who are better able to pace their efforts. And, if looking within Team Sky, Gianni Moscon ([100.00]) may have as much chance as Bernal for White. Marc Soler ([13.00]) has been touted as a young rider to watch for a couple of seasons, but quite how the multiple aspirations of Movistar will play out at the Tour is anyone's guess: he could face all kinds of demands which inhibit his own chances of glory. Pierre Latour ([4.00]) wore white for a couple of stages last year and finished high up at this season's Dauphine after winning the young riders' prize at the Volta a Catalunya. Roman Bardet, his team leader at AG2R, is unlikely to require much dedication from his young team-mate, so Latour may enjoy a freedom that many of his rivals don't. Similarly, Guillaume Martin ([7.00]), riding for 2017 tour debutant team Wanty-Groupe Gobert, is likely to be given the freedom to do his own thing. Whether he quite has enough talent is debatable, though, so preference would be for Latour, although it's not a market I'll be recommending a bet in. Back Jarlinson Pantano @ [50.00] for the Mountains Classification. Back Peter Sagan @ [1.50] for the Points Classification.